I wish I can write for you a travel entry everyday but the fact is, I am grounded in my own country because life….or should I say, my job, needs me to be here. Oh well, I gotta work to earn the money to travel right? While travelling can teach you lessons about life in general, the next best thing you can learn about is……….yourself. I grew up trying to fit in so badly and it caused me a lot of unhappiness and frustrations. As a young adult, I had no idea who was I and what my personality was like. I was too busy trying to be like everyone else, I did not know how to be me. This, to me, was my biggest mistake in my life.. It took a major adversity and a hard look in the mirror to finally slap me out of the idealistic mindset that I had. I had to harshly bring myself to reality. Getting to know yourself is one of the biggest favours you can do for yourself. Once you learn to accept yourself, you will be happier and the people around you will be happier with you too. You live for yourself (with God as a focal point), and is free from others’ expectations. As usual, the month of February is usually an emotional month for me. As a teenager, I could not wait to get older because I crave for the freedom that adults could do. However, as a young adult, I dreaded birthdays. As the years go by and I fail to create the dream that I wanted for myself, I sunk into depression. My self esteem was shattered and I had difficulties looking into the mirror. I am not bothered about getting older, but looking at peers who had accomplished so much more than me, I was unintentionally disappointed with myself. Its really hard not to compare. Now, in my early thirties, I think I have been living my life to the best of my ability. I have accepted that some things are beyond my control and there was no point getting upset by it. I am not really bothered by others’ words so easily and I learnt to not care too much about anything. I automatically transformed into a happier person. If only I had done this sooner. If only I had learnt about myself sooner and accepted myself. Learn why I was different and why I act certain ways. I was searching for answers at the wrong places. I should have looked within me. In this entry, let me share with you a part of my personality. 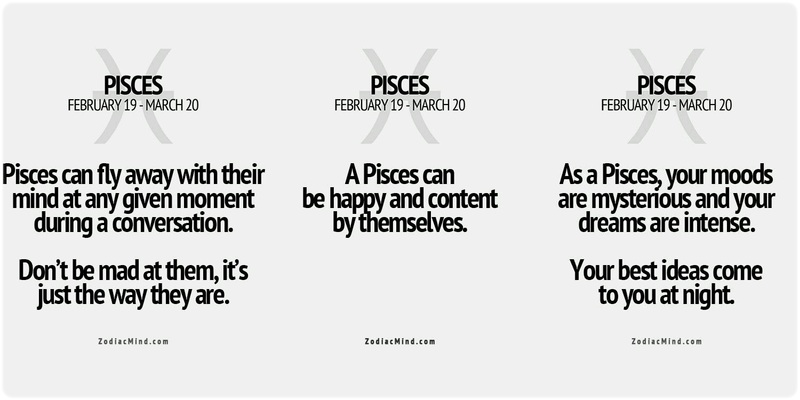 I don’t usually believe in horoscope but I was reading these few ‘facts’ about Pisces and was horrified by the accuracy. I am an introvert but I can be very extroverted with the people I am comfortable with. I may come across as friendly and cheerful but I need that quiet time alone after all that to recharge. A lot of people mistook this as me being anti-social or arrogant but that is simply untrue. It is also true that I value honesty and I respect those individuals with colourful personalities, regardless of how they look like. Your looks does not matter to me as long as you have a good heart. In love, a Pisces is said to be the best at giving out love. 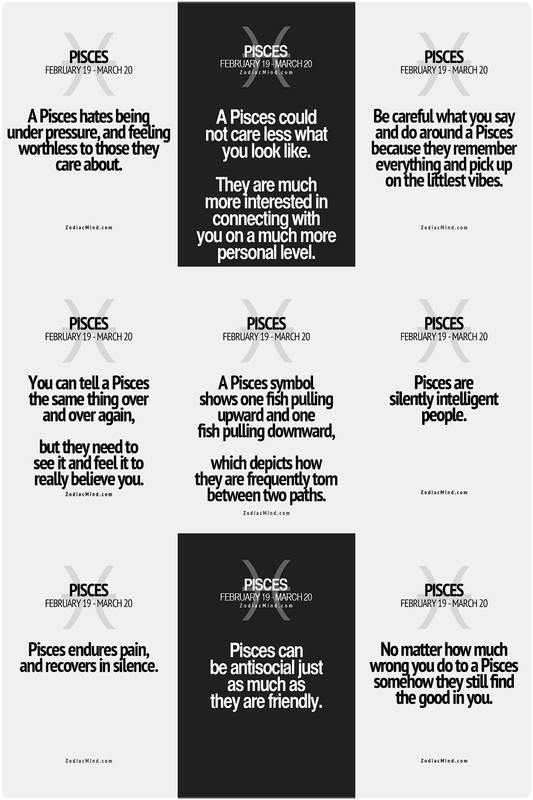 This is mainly because Pisces are always in touch with their emotions. 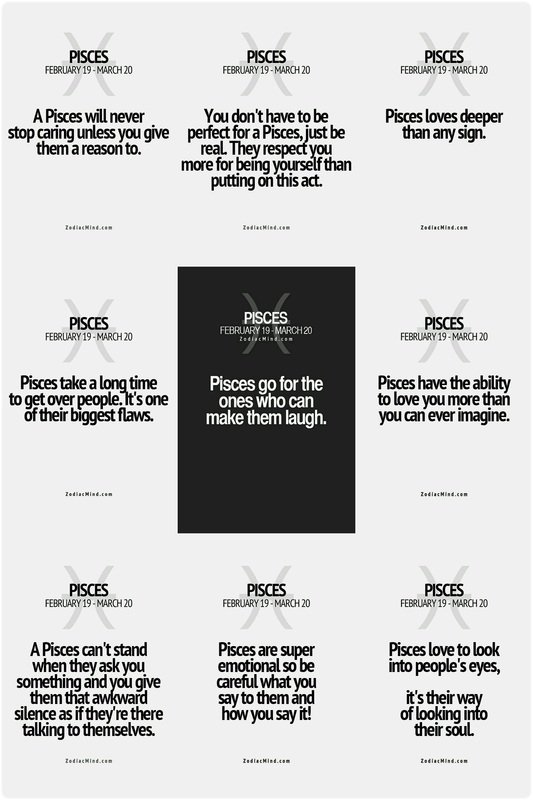 By nature, Pisces are creative and dreamy. I am always thinking and sometimes I catch myself drifting away to random thoughts. I don’t know how this is possible but I have the most accurate instincts. I can often sense how good or bad a person is during first impression. As much as I try my best not to be judgmental, it is hard to ignore my strong sixth sense. Therefore, don’t even attempt to lie to me. I would know. 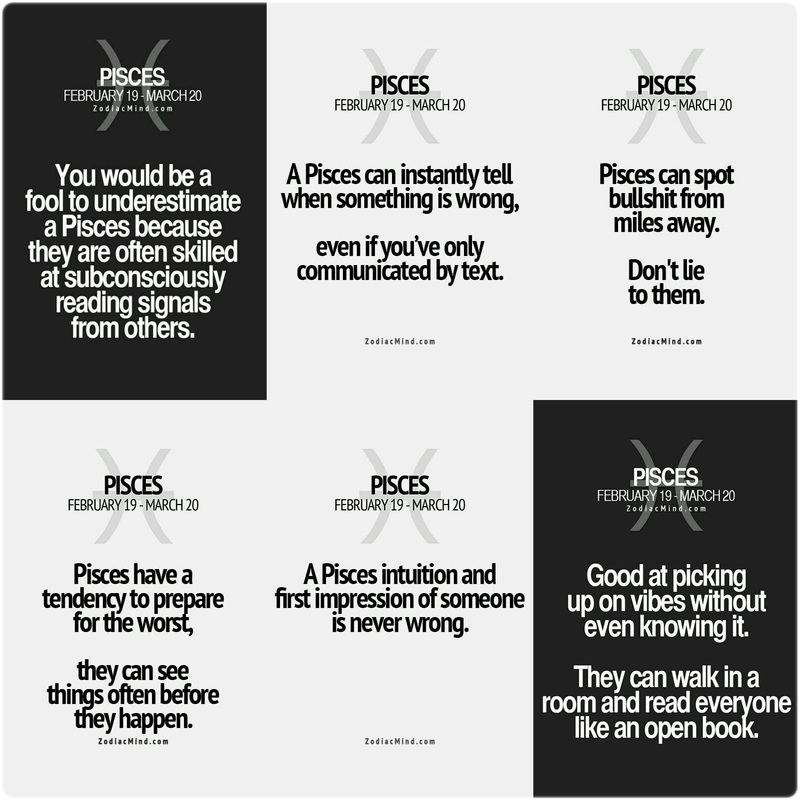 Pisces are psychic by nature. 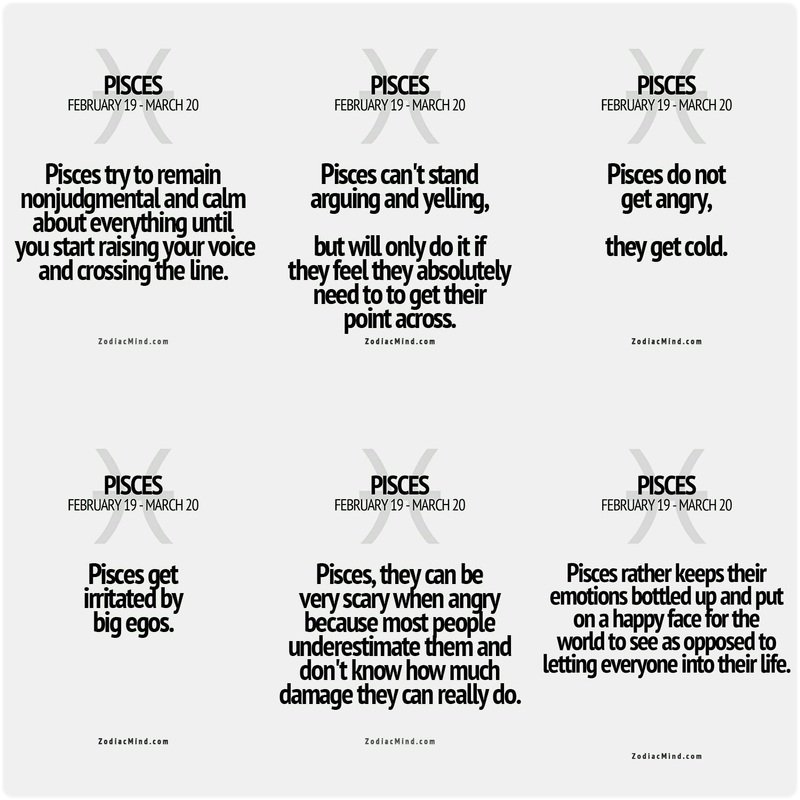 Lastly, Pisces are usually forgiving, regardless of how you betray them, but never ever underestimate them. When angry, they will surprise you. 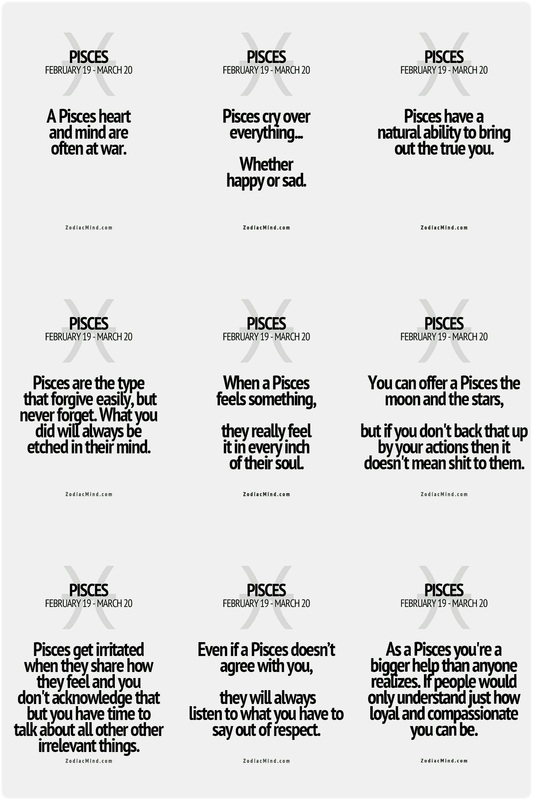 I am Pisces. This is who I am.